Whether you’re living in Greece or just visiting on vacation, using a prepaid cell/mobile phone card or καρτοκινητό/kartokinito is a convenient and easy way to connect and keep in touch without the commitment. However, everyone using a Greek SIM card can no longer be anonymous, as explained in “Prepaid cell phone cards in Greece to lose anonymity.” Law 3783/2009 strips all prepaid cell/mobile phone users of anonymity and requires them to register from July 2009. There are 20,285,000 cell phone numbers in Greece, of which 13.5 million are prepaid but only 9 million are active in the hands of 6.8 million users. The latest survey shows that 97 percent of Greeks aged 13 to 70 use a mobile/cell phone. What follows is where to buy a Greek SIM card, how much costs, how to register and add credit, and which companies offer what. New users can purchase a connection pack with a Greek SIM card for €5 at all the usual places: Periptera (kiosks), post offices, psilikatzidiko mini markets and, of course, direct from cell/mobile phone company stores and their commercial associates (i.e., Germanos, Multirama, One-Way, etc.). Recharge, renewal or “top up” cards are also available at the same locations, or you can recharge online or bank ATMs with some plans. See “How to recharge” later in this article. Be careful when buying connection packs from unauthorized outlets, as there are some pay-as-you-go Greek SIM cards that are given away free at clubs and cafes, and award users a €5 credit if a minimum amount of air time is purchased every month by a certain date. Some online/street vendors do not disclose the expiration date and/or allow potential buyers to believe the connection pack is still good after this date; it is not. Aside from the cost of the connection pack, all products include 23 percent value-added tax (VAT) as of July 1, 2010; plus a 12 percent state tax is automatically deducted from the amount of talk time each time you recharge or top up. * There is no charge to receive calls or sms (short message service or text message) within Greece, but charges plus roaming will apply when using a prepaid Greek SIM card in another country. Each company has a multitude of plans with prices for domestic and international sms, MMS and per minute charges for phone calls to land lines and cell/mobile phones in the same or different network. Doing a comparison would be time-consuming and impossible to keep current because prices and terms change monthly, even daily. Follow the links provided at the end of this article under ‘Contact Info’ to get a sense of cost and individual plans, or visit a local store and tell them what you prefer to receive an informed recommendation. There are always special offers as companies compete for millions of users, and promotions touting free or double credits are frequently broadcast via sms in Greek or advertised on company websites in Greek and English. *Certain purchases allow the user to keep the 12 percent tax. If you think 12 percent is high, Greece charges an average of 36 percent tax on cell/mobile subscriptions, which is the highest in Europe. The EU average is 17-20 percent. Registering your prepaid Greek SIM card only takes a few minutes, is free of charge, and must be done in person. You cannot register online or by phone. The information that follows is based on conversations and official documentation from each of the three companies. However, let’s remember this is Greece, where implementation and adherence to rules can range from strict to lax. That means everyone’s experience may vary. New users: Everyone using a prepaid Greek SIM card phone for the first time on or after November 8, 2009 is a ‘new’ user and must register to activate the SIM card before making a call or sending sms/MMS. A recorded message announces this, most likely in Greek. Past users: Everyone who had a prepaid Greek SIM card/phone number before November 8, 2009 is a ‘past’ user and needed to register by July 30, 2010, or had calls, sms and MMS barred. All three cell phone providers kept unregistered phone numbers in their database until midnight January 30, 2011 before disconnecting them permanently and making them available to other users. If you did not reclaim your number by January 2011, you may inquire about reactivating but it likely belongs to someone else and your credits were erased. 2. Second, find your cell/mobile phone provider and follow the instructions. Prepaid or pay-as-you-go programs go by different names but only three cell phone providers own all of them and are categorized accordingly. a) Appear in person at any Cosmote, OTEshops or Germanos location. Find a Cosmote, OTEshop or Germanos nearest you (in English; left menu). b) Bring the Greek SIM card or 20-digit number on its face. (Note: Non-EU citizens are supposed to show an unexpired permit, but their policy did not state this in writing or by phone when I inquired. As this is Greece, they could still ask). d) Sign a declaration that the information provided is true and correct. e) Specify if they want to be unlisted or included in the directory. Users of multiple numbers can register all at the same time with no restriction. Users aged under 18 must have a parent register them. All future changes to personal data and any loss/theft must be reported immediately. a) Appear in person at any of Wind Hellas’ 400 authorized locations. Find a Wind Store nearest you (in English). b) Bring the SIM card or 20-digit number on its face. d) Sign an application that the information provided is true and correct. e) Specify if they want to be listed or unlisted in the directory (you can change your mind at any time). Users of multiple numbers can register all at the same time with no restriction. Users aged under 18 must be accompanied by an adult. All future changes to personal data or any loss/theft must be reported immediately. Non-EU residents of Greece without permits are ineligible to register prepaid phones with Wind, and their numbers will be blocked. Asking a friend or relative to register your number in his or her name will assign them complete responsibility, and I recommend against it. a) Greek citizens: Must present the phone SIM card and Greek passport or Greek ID. * Minors without a Greek ID, passport or similar document must have their parents/guardians register their identity. — Permit of residence for humanitarian reasons. *Hat tip to EllasDevil for giving me the link to add the Vodafone section. 2. Electronic recharge, renewal and top-ups made from physical stores, certain bank ATMs within Greece, and online via cash/debit/credit card, e-banking and remotely. If you are outside Greece, it is also possible to have someone in Greece purchase units and top-up, recharge or have them sent to your number. Each company has its own set of denominations ranging from €1 to €50. To get a sense of the options available, click the brand of interest: Cosmote Top Up, Vodafone Top Up, or Wind Airtime Renewal. Unless otherwise stated, a Greek SIM card and the credit or units are good for one year from the date of last recharge, renewal or top-up. Simply using your phone is not sufficient. If you haven’t added credit in 12 months, the remaining credits (if any) will be erased and the phone number deactivated. Should the cell/mobile phone user swap the Greek SIM card into a new or different device or phone, nothing needs to be done as long as the phone number/SIM card stays the same. Registration is unique to the SIM card and phone number, not the device being used. Lost your Greek SIM card? Call your provider immediately to report it, and they will verify your identity with the information on file. If the registered SIM card malfunctions or is lost, and you would like to keep the same phone number, the service provider will transfer your identity to the replacement SIM card. Cost of a new SIM card varies amongst providers. As of 2004, users have the right to change networks but keep the same number. By law, it should only take 10 days for the transfer to complete, but an amendment shortened that time to three days on December 1, 2010. It is also possible to keep the same number while switching between a prepaid and subscriber plan. I can answer general questions, so I will leave comments open. However, I recommend that readers contact their cell/mobile phone companies with questions pertaining to registration; I will not hesitate to reiterate this, if readers do not heed my advice. My personal experience consists of having a contract/tariff/subscription (syndesi) and a prepaid Greek SIM card that was registered in 1998, when it was mandatory. I have never been anonymous. Cell phone provider websites used to be a nightmare to navigate and only in Greek as recently as 2009, but all have made significant strides and now offer English versions. Cosmote and Wind Hellas began mandatory registration of users November 8, 2009, followed by Vodafone two weeks later, and Greek newspaper Eleftherotypia reported that 95 percent of existing prepaid users had registered before the July 30, 2010 deadline. The remaining 5 percent remained in a database until January 2011.
b) Send your SIM card to a friend or relative in Greece and have them register it in their name, which you can later change to your name when you’re in Greece. Also keep in mind that your talk credits will be erased and your number deactivated one year from the date of your last recharge or top-up, so you may need to add credits. Livingingreece.gr was created in 2007 to present meticulously researched original articles that fill a gap left by traditional media, government portals and commercial websites/forums run by people without credentials. @LivinginGreece is a Twitter feed curated from recognized Greek and international news agencies to provide breaking news about Greece, plus real-time updates and insider tips mined from 15 years experience. Please note my copyright policy and be aware that violations will be pursued. Oh, great, another hoop to jump through. I’ve never made as many copies of my passport as I have in the last 5 months! Perhaps this will be a good chance to sign up for a plan or switch from Wind to Vodafone. Any personal preference, Kat? Hi Dwain! Vodafone is now asking for similar details, but yes it may be a good time to make a switch since paperwork will be involved whether you stay or go. I’ve never had Cosmote, so I cannot give an informed opinion; but a few of my friends signed up with them because they already had OTE and found it convenient to get all of their billing together. I like Vodafone’s cell phone coverage and technical department, but their 3G coverage and customer service are etsy k’ etsy. Wind (formerly Telestet/TIM) was the first prepaid I purchased 11 years ago, and I keep it because it’s easy and everyone knows the number. Never had a problem with them. The company is in financial trouble, but a buyer will probably see them through. Have a look at the offerings and see what suits you. Vodafone and Cosmote have “unlimited” (not really unlimited), and Wind has XL. Many people I know (including myself) don’t have huge personal tariff plans/subscriptions/contracts because we’re provided with a cell phone from work and/or have truly unlimited plans at home. You are the most amazing fountain of information! Thank you for passing this along, I am sure that most of the expats I know on Corfu are unaware of this! I will pass it along as best I can. Interesting info. You are helping a lot of people living in Greece single-handedly. Keep up the good work. hey, I originally bought a kinito back in 2005 from TIM and just recently purchased a new one from WIND. On Sunday the automated message informed me that not only was i out of money, but my account was blocked until I registered. So I went to the WIND store on Patriarch Joacheim in Kolonaki and the woman at the counter cheerfully (insert sarcasm) informed me that I couldn’t register unless i had a greek tax ID number. Needless to say I don’t have one, so i am frustrating kinito free at the moment. I may try a different clerk at the store again. Of course, this is all part of the Greek strategy to promote tourism and commerce in Greece. Obviously, regular visitors to Greece with Greek kinitos will really appreciate being denied the right to use their phones. We should also commend the outright brilliance of both ND and Pasok governments in outwitting criminals with this clever law of registering mobile phones. We can all sleep safely in our beds at night, now. You are truly a wealth of information!! Thank you! I have been a lurker of your site for quite some time now…i’m a Greek-American living in the states. I have used your site to do the prep work to get my dual citizenship and you have helped with that as well, thanks so much. Now, on to the kinito issue…we travel to Greece (have a house in Patmos) once a year and stay a month or two, I have a SIM through Cosmote. I was recently there (in September), and will go back in June of next year. What you are saying is I will need to get a new SIM so I can register it when I get there??? OR will I be able to register at Cosmote once I get there in June. I noticed you mentioned calling the Greek Consulate for my area, are they going to charge me an arm and leg to register my 5Euro number? I only have an American passport as of now, my dad (who also has a Greek SIM ) has a Greek autotita….and I actually have an AFM as well. I know I have asked plenty of questions, and hope you will take a moment to help me out if possible! Thanks so much…I appreciate having you on the net!!!! You are an “existing user,” so you have until July 30, 2010 to register your SIM card at Cosmote (see 4th paragraph) with your passport, AFM and address as the article says. Thank you for lurking. There is nothing newly draconian about the process, this has been happening for years in other European countries. I remember when I travelled Europe in a motorhome I purchased Pas As You Go sims for my wife and myself in each country. In particular I remember wasting a whole afternoon in Germany complying with the paperwork requirements. Before comments escalate to a level that violates my policy, let me say a few things. More than a decade ago, Greece required that all prepay/pay-as-you-go subscribers identify themselves. This was the norm, and it had nothing to do with security, safety or terrorism. This is why I don’t need to submit my identity again; they already know who I am. Then it was changed to letting users be anonymous. There’s nothing stupid or wrong with going back to the way it used to be since a lot of countries demand this, and Greece used to be one of them. What I and many find ridiculous is bills/laws in Greece get signed and announced with virtually no notice to the parties concerned, PLUS no clear parameters upon which these parties can build policies and processes to relay to the public, PLUS somewhat unreasonable deadlines. As an example of what I’m saying, the government announced in May that an AMKA was mandatory, had no website or printed literature on what it was, to whom it applied and how to get one. Thus, staff were unprepared to assist 9 million people, and 9 million people could care less about complying within 90 days in summer. In other cases, Greece refuses to implement directives with crystal clear parameters and processes for five years or more. For example, long-term EU-wide permits for non-EU citizens who earned it, opening closed professions, recognizing university degrees, breaking monopolies, shutting down coal-burning plants and illegal landfills for which it is being fined millions of euros. Oh, I could go on and on… Are we really going to whine and bicker about phone identity? Sometimes people are incompetent and lazy; some don’t read the news and haven’t a clue what’s going on in their own country. But sometimes the most competent, energetic people cannot do their jobs within a system full of loopholes and people constantly trying to cheat it. 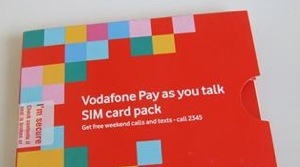 hi just a quick question,on recharging via scratch card, of 10e the 12% tax is taken off, but on the website(http://www.vodafone.gr/portal/client/cms/viewCmsPage.action?pageId=2645) it says “All airtime topups include VAT and mobile telephony tax.”(last paragragh, but everytime i recharge 1.20e is taken off, i have tried to contact voda but they will not help me on this subject , can you spread shed some light on this? a) A 23% value-added tax (VAT), which is a consumption tax assessed to all applicable goods and services. This is included in your 10 euros of talk time. If it wasn’t included, you would technically be asked to pay an additional 2.30.
b) Mobile telephony tax, which is a tax assessed to the privilege of using your mobile provider service (not the air time itself). c) A 12% tax assessed as of September 15, 2009, which is best described as a state tax that isn’t included in the price of your top-up card and goes to the government treasury. Taxes on cell phones and mobile broadband services in Greece are some of the highest in the world, with monthly subscribers paying up to 51% tax because taxes are added on top of other taxes. I hope that answers your question satisfactorily, since Vodafone couldn’t help you. I’m told by a young man in Germanos, Kalamata, that I can use a pre-paid ciao sim card to SMS the UK. The information on the ciao/cosmote website suggests it can be used only for Italy, Albania and USA. It’s certainly a much cheaper option than a cosmote pay-as-you-go card so I really would like to know if its use is wider than the publicity suggests. I don’t read the Ciao! literature the same way you do. It claims to have the lowest call rates to those countries; it does not say the card is only good for those countries. Therefore, I see no problem with using it to sms the UK. Does anyone have the Cosmote Direct Landline Contact Number that I can call them from Canada. Someone gave me 697-100-1313, it works but charges me like Calling Moble Phone @ $0.12 cad/min…..I do not want to pay them for being on hold until they come on the line and continue paying while they are helping me, it will add up. I have 1000 min per month to call Greece Landlines and would like to use them since I pay for them. I am also mad because when I was in Greece this past Summer (Summer 2009), I went in to Register it at a Cosmote Shop and Germanos and they told me I can’t and don’t need to yet. I told them I live in Canada and may not be back in Greece by the Deadline……they did not care and blamed it on the Government saying that the Law may not even be enforced. I gave my number to many Agencies and other people that I need to keep in touch with and this is going to cause a lot of problems. I have my Greek Mobile Forwarded to my Canadian Number so that someone in Greece would not be charged long distance to contact me and when I see that they called I call them back from my Canadian Phone. So I guess, I am now considered as a drug dealer, an immigrant smuggler and a blackmailer. Well, if I was in that business, business would be so good I would not need to live in Canada……I would be living the good life in Greece. How the hell am I going to register my phone if I do not go to Greece for a while? As I say in the article, you cannot register by phone so calling them would be a waste of time and money. The only way you can register is in person or by assigning someone as your representative via dilosi, which is also something I say in the article. If you have a friend or relative in Greece, you can send your SIM card to them to register in their name, then change it to your name when you come here yourself. Also remember that your phone number and talk credits expire one year from the date of last recharge. It’s actually not the Greek government’s fault. They already signed cell phone registration into law before you were here and had no problem going forward, but the unions and cell phone companies resisted implementation. So if you’d like to blame someone, aim it at the latter. Faulting people is pointless though because that’s how Greece is. P.S. The last time you made a comment, you said you weren’t worried because the Cosmote guy gave you his contact details and said he’d register for you. What happened to that? How do we get a Greek Tax number. Do we need a permant Address. This article describes registration as it applies to people with anonymous prepaid or pay-as-you-go plans. When you have a contract, you are already registered and not anonymous. Plus, even if this article did apply to you, Vodafone only requires that customers present one document from the list. It says nothing about an AFM (Greek tax number) or permanent address. Where did you find the info that says non-EU customers without resident permit wont be able to register with Wind? I am a non-EU person without resident permit, and the Wind guys did register my SIM and I am using it since then. I am asking so because I want be sure and dont want to lose my number on the deadline date. If they registered you, you won’t lose your number. Also be thankful — others I know were asked for a residence permit or bebaiosi (blue paper with photo, showing they applied for a residence permit). You can look in “Sources” and see where my research came from; my information is always transparent. As I say in my “Warning and Disclaimer,” this is Greece and results may vary. I went to register my Vodafone (finally) this weekend at a Vodafone store in Petralona. I was told that they only register them on Mondays through Fridays, 9:00-2:00 and 5:00-8:00. Maybe only at that store or maybe at all Vodafone stores, who knows. Thought this may be of use to someone else who, like me, works M-F and was hoping to get it taken care of on the weekend.